You can also look at these photos on our Facebook site. Download attendee list categorized by group. Download the schedule and map. 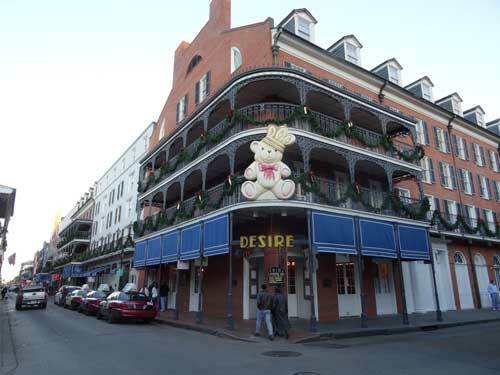 We will be in the Royal Sonesta Hotel, Bourbon St., between Bienville and Conti. 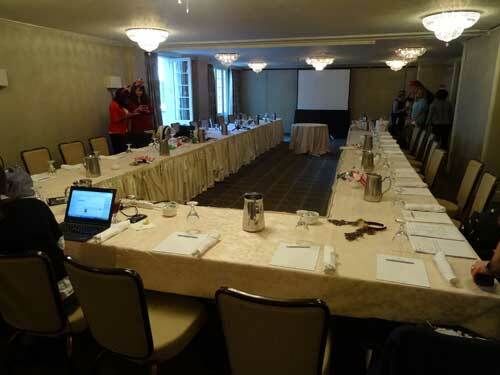 Meetings, breakfasts and presentations: take elevator in lobby to 2nd floor Acadia Suite. Lunches will be on the first floor off the lobby in the Fleur de Lis Suite. Friday’s cocktail reception will be on the 2nd floor Acadia Suite and Terrace. Saturday’s cocktail reception will be in the first floor central courtyard (unless its raining, then it will move to the ballroom). The tours will depart directly after lunch. We will split the group and have two different tours each day. 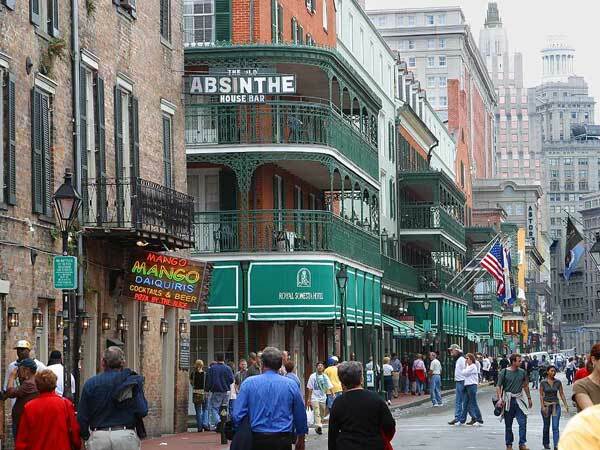 About the Conference: The focus is on New Orleans this year, a city rich in history and culture, famous for its food, live music, cocktails, and entertainment. 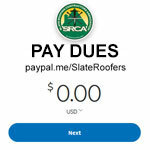 The Mississippi River runs through New Orleans, and the city's southern location makes it a perfect winter getaway for roofing people of all sorts. Conference Fee: For only $200 per registrant, we are providing two days of continental breakfasts, two days of lunches, two days of walking tours and two cocktail receptions with drinks and hors d'oeuvres. On top of this, we are providing very nice meeting spaces, plus three hours of powerpoint presentations, an opportunity to socialize, to network with others in the slate roofing trades, and to enjoy and learn about one of America's cultural treasures, New Orleans! Sponsors: Sponsorship response has been outstanding! North Country Slate: Thursday night welcome cocktails. 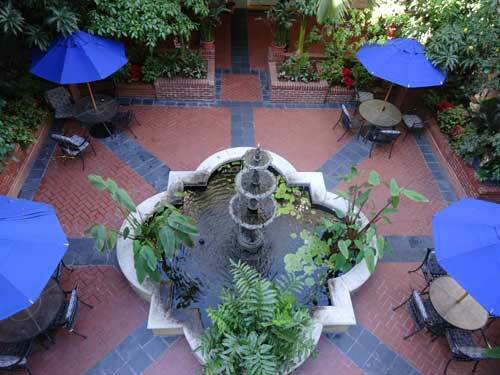 Location: Royal Sonesta Hotel in the heart of the French Quarter, right on Bourbon Street, New Orleans, Louisiana, a city with hundreds of slate roofs dating back to the 1800s. 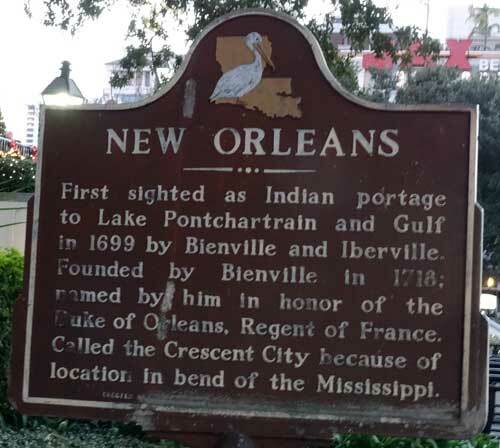 Much of our conference will be in the French Quarter, also known as the Vieux Carré, which is the oldest neighborhood in the city of New Orleans, founded in 1718. The district as a whole is a National Historic Landmark, and contains numerous historic buildings. 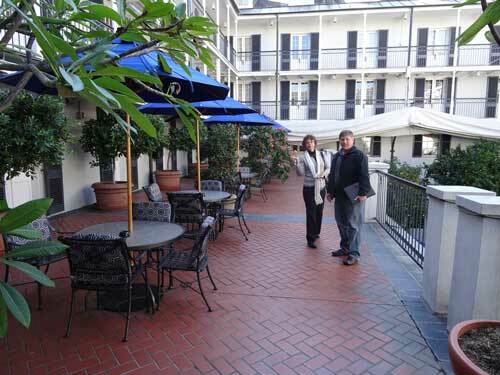 The Royal Sonesta hotel sits on the corner of Bourbon Street and Bienville. Thursday, February 6th, 2014, Arrival: Arrive no later than Thursday, February 6th. We will meet informally on Thursday night between 8 and 11 pm at the Sazerac Bar in the Roosevelt Hotel, just to say hello and have a drink or two. Named after what many consider to be the world’s first mixed drink, the Sazerac Bar carries with it as much history and lore as its potable namesake. Friday and Saturday Morning Meetings: We will have meetings and presentations in the Royal Sonesta Hotel on the second floor, from 9 am to 12 noon on both Friday and Saturday, February 7th and 8th. At 8:30 or 9 am on both mornings there will be a continental breakfast and registration period in the lobby outside the meeting room. Royal Sonesta meeting room with door opening to terrace (above). Friday's meetings will include a board meeting at 9 am and a general member meeting at 10:30 am. We will also be electing a board member! A buffet lunch will follow the meetings at noon until one pm. A walking tour or a bus tour will follow the lunch. Friday evening from 7 to 9 pm we will have a cocktail reception, also at the Royal Sonesta, 2nd floor meeting room area. 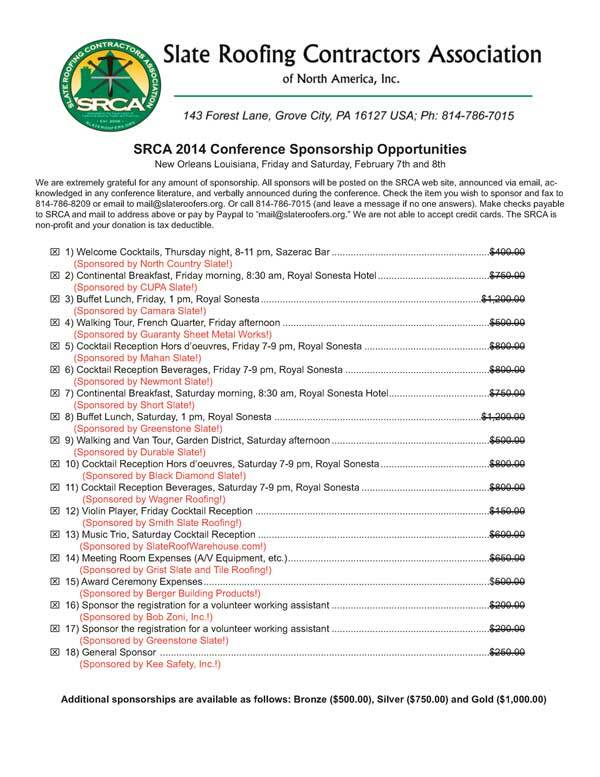 During this social event, we will auction off fund-raising items donated by members and participants. Saturday morning we will have educational presentations from 9 am to noon. 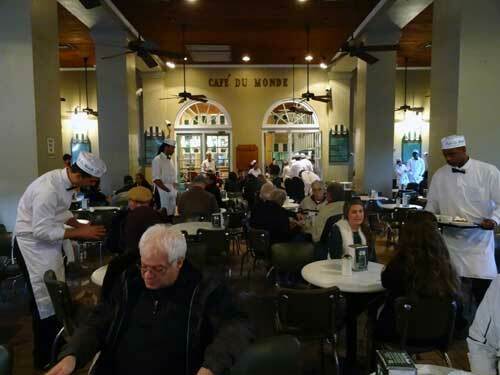 A buffet lunch on the first floor will follow the presentations and a walking/bus tour of the Garden District will follow the lunch, or a walking tour of the French Quarter. 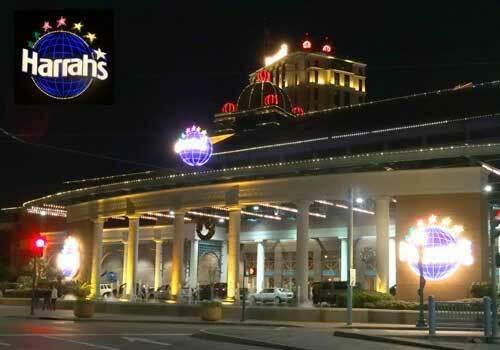 Saturday evening from 7 to 9 pm we will have a cocktail reception and live music also at the Royal Sonesta, in the central courtyard (ball room is a rain back-up). The conference will officially end at 9 pm Saturday night. Craig Markrow (Vermont Structural and James River Slate Co.): “Vermont Slate, Virginia Slate - A Look at Two of the World’s Best Slates." We’ll discuss the two deposits’ geology, history, characteristics, production process and market structure. Lunches: We will provide a New Orleans buffet lunch at noon, on the first floor, after the meetings and presentations. Don't miss them! 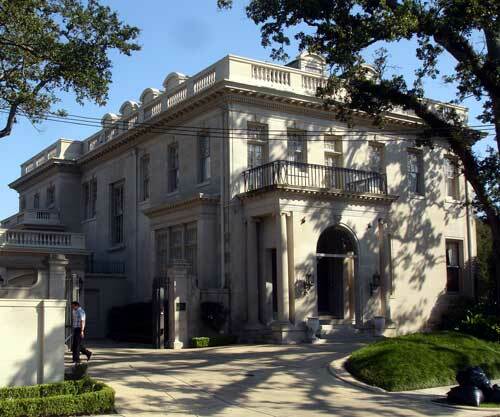 We don't want to be stuck inside during this conference when there is so much to see in New Orleans, so we have organized tours for Friday and Saturday afternoon. 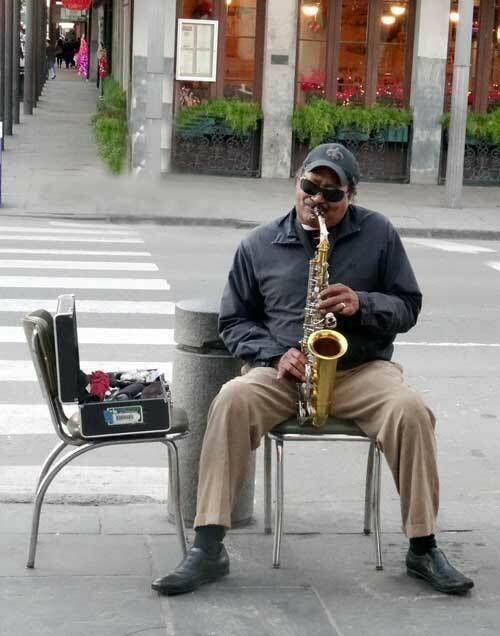 Friday and Saturday French Quarter Walking Tour: We will have a 2.5 hour French Quarter walking tour on both Friday and Saturday after lunch jointly led by Ashton P. Rogers, a professional tour guide, and Lonnie Smith of Guaranty Sheet Metal Works in New Orleans. 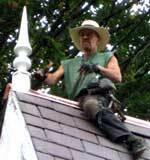 There will be a few bar stops on the way as roofers are known to get thirsty while walking. You are welcome to carry drinks down the street in New Orleans in plastic cups! Ashton specializes in architectural tours and does a pub crawl tour too. Lonnie has done a lot of slate work in the Quarter, so they are combining to create a custom tour just for us. 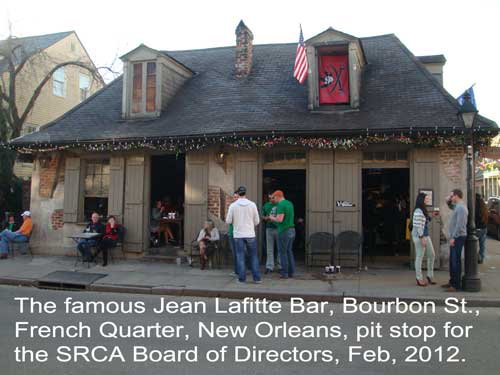 The Historic Jean Lafitte Blacksmith Shop Bar (above) will be a stop on our French Quarter walking tour. 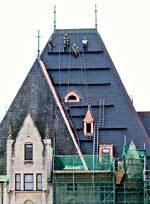 It has a slate roof from Vermont, supplied by SRCA member Camara Slate and installed by new SRCA members, Guaranty Sheet Metal. 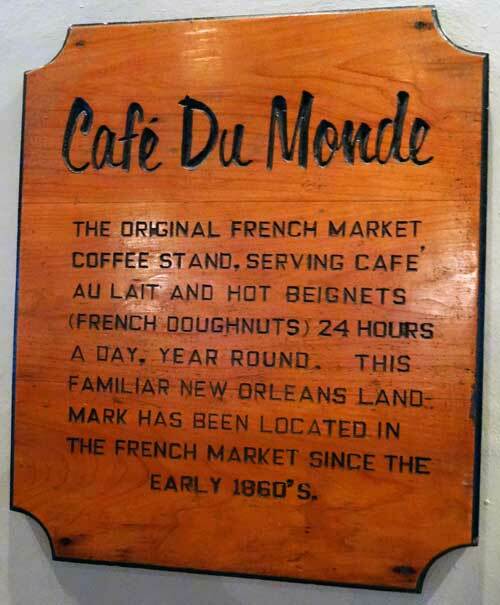 Here you will get the best Hurricanes in the French Quarter. Below is a typical weekend night scene on Bourbon Street. 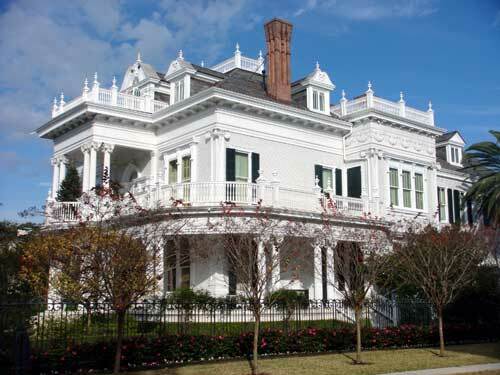 Friday and Saturday Garden District Tour: Friday's and Saturday's tour of the Garden District will be conducted by the world famous tour guide Mr. Gary Howes. We will have rental vans waiting outside the Royal Sonesta Hotel equipped with coolers stocked with Louisiana beer and plastic cups so we can slake our thirsts at the remaining stops, which will include a historic cemetery, houses of celebrities, etc., etc. 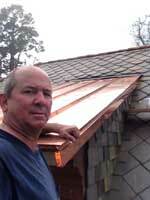 A Garden District house with a Vermont slate roof installed by Durable Slate (above). Another Garden District house with a slate roof (below). Cocktail Receptions: Friday and Saturday at the Royal Sonesta Hotel, 7-9 pm each night. Friday it will be on the second floor balcony overlooking the courtyard, and Saturday it will be in the hotel central courtyard itself (see schedule at top of page). 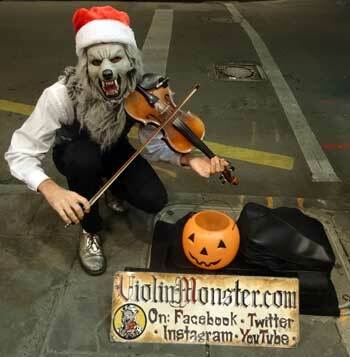 Friday, 7-9 pm, Royal Sonesta 2nd floor Acadia Suite and Terrace: We will be entertained by the fiddle music of Violin Monster while we refresh ourselves with beverages and hors d'oeuvres. We will also do an informal live auction during the cocktail reception, so plan on bringing an auction item. The Royal Sonesta Terrace (above), site of Friday night's cocktail reception. Saturday, 7-9 pm, Royal Sonesta Hotel, central garden courtyard: On Saturday we will have the courtyard itself, weather permitting, for our conference venue (the ballroom is available as back-up). Come prepared to enjoy drinks and hors d'oeuvres. 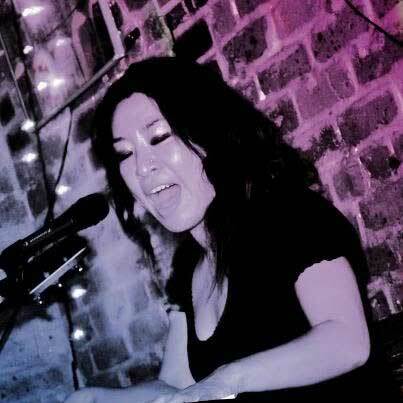 We will be entertained by a three-piece ensemble including Kanako Fuwa on keyboard and vocal (watch her on a video), Detroit Brooks on guitar and Walter Harris on drum. 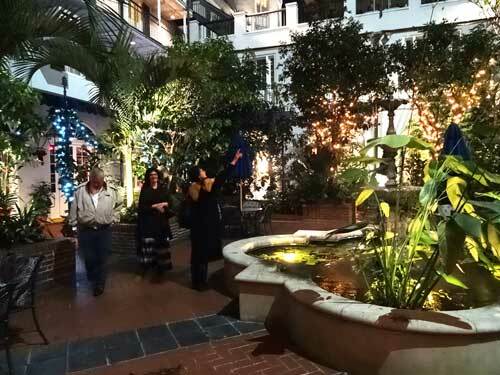 The Royal Sonesta courtyard, site of Saturday night's cocktail reception (above and below). Night Life: You are on your own after 9 pm in New Orleans! 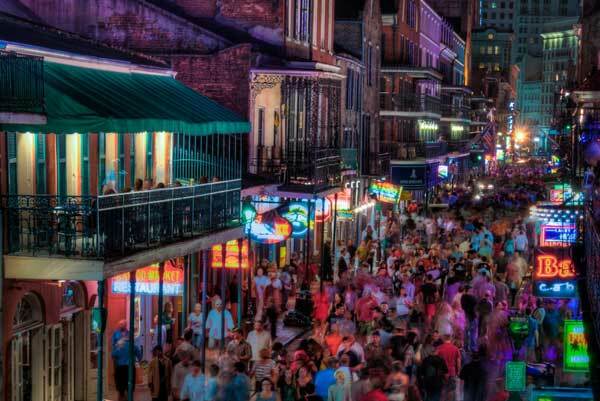 Wander wild Bourbon Street and take in the abundant music and night life, or shop Royal Street in the Quarter. 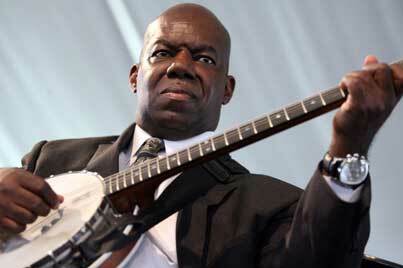 Don't forget Frenchman Street, less wild than Bourbon, but just as much fun. 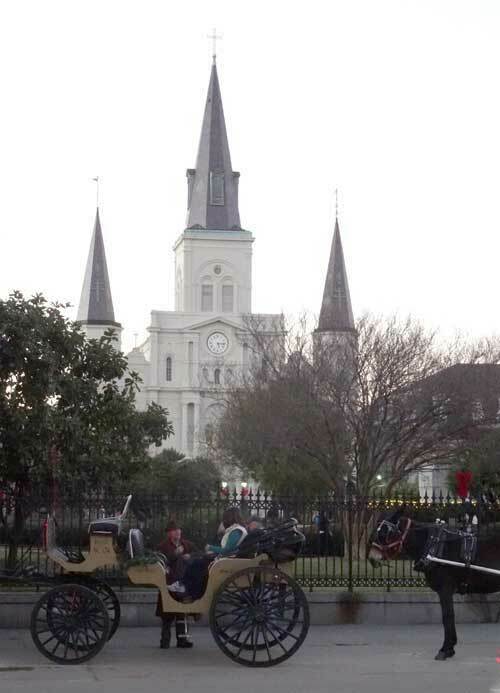 There is so much to see and do in New Orleans that you will not want to be tethered to a group - you will want the freedom to explore on your own or to break up into smaller groups and have fun! Sunday, February 9th: The conference will be officially over Saturday night at 9 pm, but we encourage you to stay on through Sunday at least. 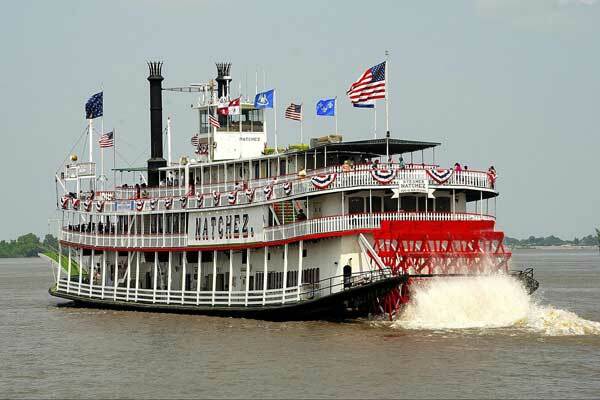 Here you will be able to sleep off your hangover, to take the Natchez steam boat tour down the Mississippi, eat biegnettes at Cafe du Monde, gamble your hard-earned money away at Harrahs Casino, visit the Audubon Aquarium, ride the street cars, go to the Imax, do a ghost tour, visit a cemetery, and see more of New Orleans with your spouse, your girlfriend, your colleagues, or with new found friends.